I love Valentine's Day for its focus on romance, roses, chocolates and strawberries. 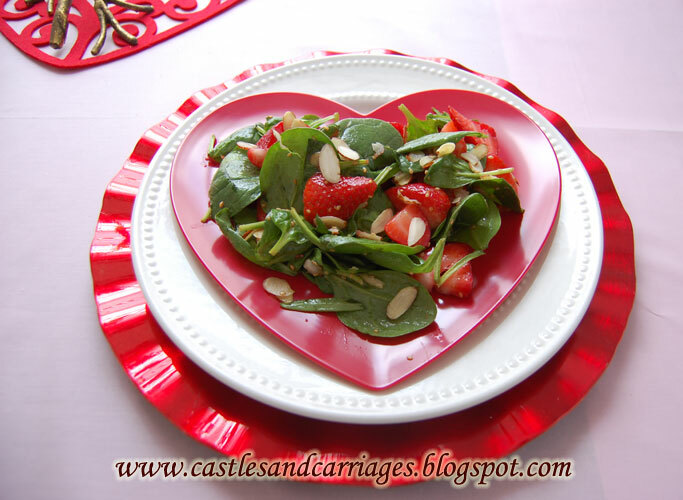 This year what I am including on the menu is this strawberry spinach salad. Fresh spinach normally has such a strong taste that I use a lot of dressing to mask the taste. I don't know about you but I don't like greens that are bitter. (Which is why I can't do arugula no matter how good it looks!) This dressing is light and gently enhances the salad. You really don't need the entire amount. Use just enough to lightly coat the salad (I mix it by hand about 10 - 15 minutes before serving). I keep the rest of the dressing on the side just in case anyone would like more. It's important to note that if you make the salad too far in advance (even just an hour), the spinach will begin to wilt and the almonds will start to lose its crunch. 1. In a medium bowl, whisk together the sesame seeds, poppy seeds, sugar, olive oil, vinegar, paprika, Worcestershire sauce and onion. Cover, and chill for one hour. 2. 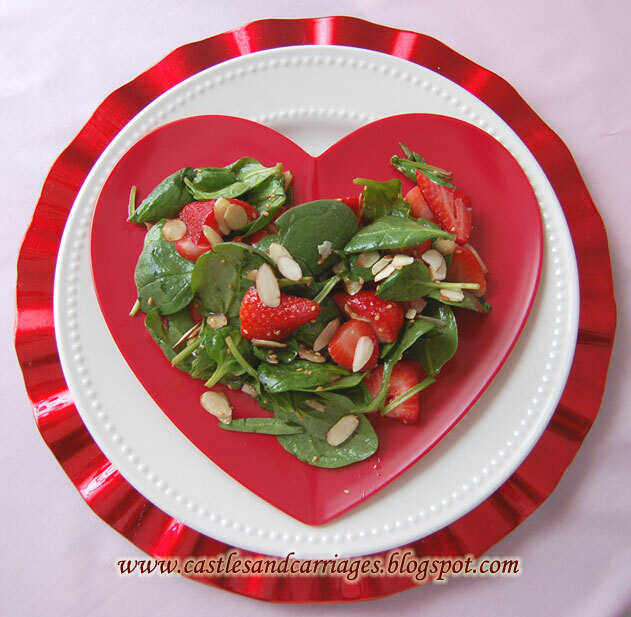 In a large bowl, combine the spinach, strawberries and almonds. Pour dressing over salad, and toss. 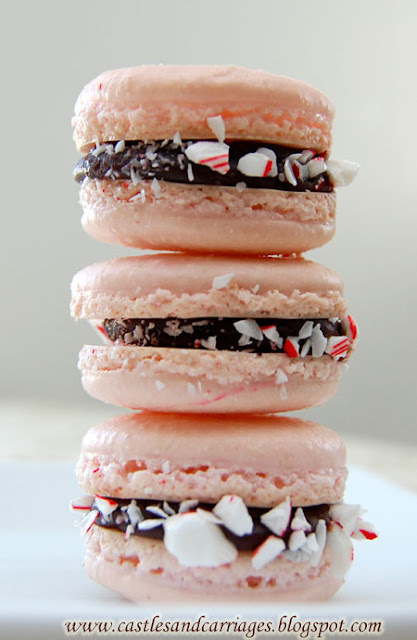 Refrigerate 10 to 15 minutes before serving. Your spinach salad looks so yummy.. Thanks so much for your sweet comments on my Tablescape for Valentine's Day, hope you have a wonderful day with the one you love.